Africa’s not always an easy place to travel in. It can be frustrating and challenging at times. Hardships and logistical disasters can happen. But don’t believe everything you see on TV: Africa’s not a hell hole full of civil war, plague, famine and violent crime. It’s a fantastic, enlightening, surprising and intriguing continent. Try it once, and we guarantee you’ll dream about coming back for the rest of your life. Looking for cheap flights to Africa is easy now, just logon to Simplytrip and get cheapest airfares to Africa. Here are the top 10 things to do while you’re in South Africa. Several game reserves in South Africa offer guests the once-in-a-lifetime opportunity to ride on the back of an African elephant. A giant of the animal kingdom, the African elephant has a majestic presence. The Elephant Sanctuary, which has three different branches in South Africa, allows visitors to ride, walk, feed, and groom elephants. 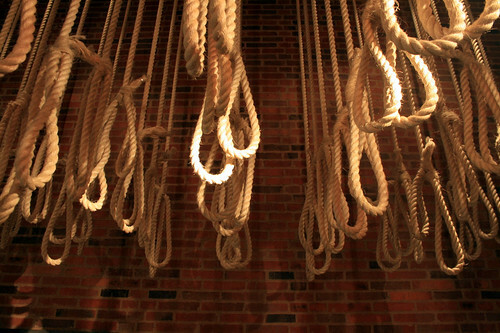 121 nooses dangle from the museum’s roof, symbolizing the political prisoners that were executed during the apartheid era. Additional artifacts in the museum that serve as memories of South Africa’s dark history of racial segregation include racially tagged identity cards, weapons security forces used to enforce segregation, and blown-up photographs that illustrate the rise and fall of the apartheid. If you’d like to see a great white shark up close and personal without getting your arm bitten off, you’ll love the new adventure sport known as shark cage diving. In Gansbaai and Mosselbaai, Western Cape, brave folks have the rare opportunity to encounter great white sharks in their natural habitat by venturing underwater in jaw-proof cages. First, you’ll head out to sea in a boat, and the crew will throw some fish heads and livers into the water to lure the sharks. Once the sharks are circling the boat, you’ll hop into a specially designed diving cage and be lowered into the water. The cage features a tube that goes up to the boat for you to breathe out of, so you don’t have to use an oxygen tank. There are 13 major wine regions in South Africa, where you can savor some of the world’s finest wines. Most of South Africa’s picturesque wineries are nestled in the Western Cape and can be accessed on a day trip from Cape Town. During wine tours, you can meet the winemakers, learn more about the winemaking process, and afterwards, enjoy wine tasting and fine dining while admiring the picturesque scenery of South African wine country. Table Mountain is a grandiose, flat-topped mountain covered in unique vegetation that serves as Cape Town’s beautiful backdrop. 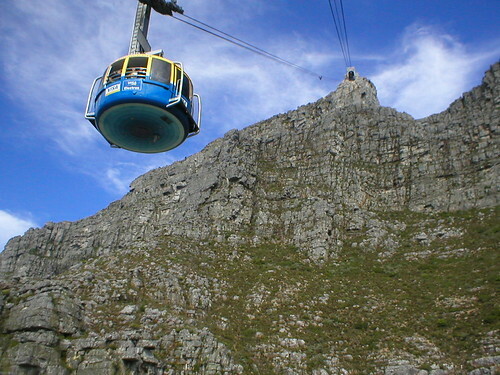 Climb or take the Aerial Cableway to the top of Table Mountain, from which you can enjoy stunning views of the city and the Atlantic Ocean. 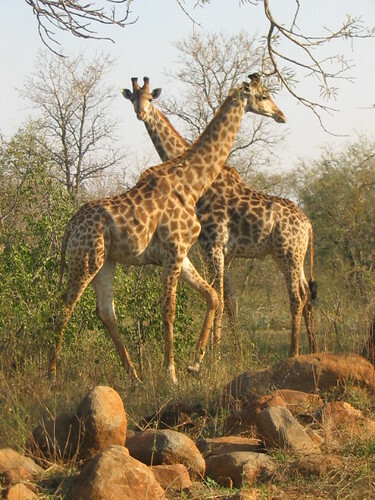 One of the largest game reserves in Africa and one of the largest national parks in the world, Kruger National Park has more species of mammals than any other game reserve in Africa. On a safari or self-guided drive through Kruger National Park, you’ll see wild animals including hyenas, lions, leopards, hippos, and cheetahs, to name a few. From the end of the 17th century, Robben Island, an island in Table Bay, was used as a prison. After helping end apartheid in South Africa and establishing a democratic government, Nelson Mandela inaugurated Robben Island as a national monument. Mandela himself was imprisoned there for 18 years. 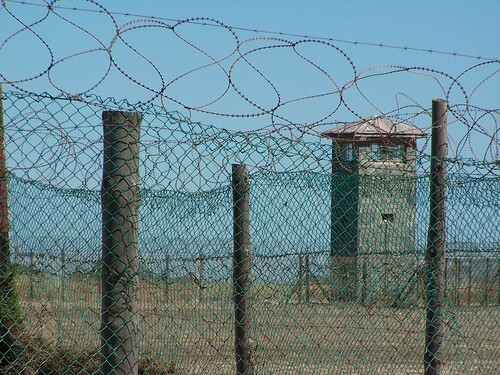 When you visit the Robben Island Museum, a leg of your tour is led by an ex-political prisoner, who gives you a firsthand account of life on Robben Island. You are also taken on a tour of the maximum security prison where Mandela and other political prisoners were held. From June and throughout the winter months, migrating whales make their way along the South African coast. Walker Bay in Hermanus, South Africa happens to be one of the top 12 whale watching locations in the world. 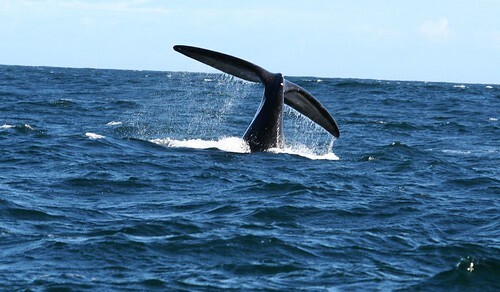 Southern Right whales can be seen just 33 feet from the shore at Walker Bay. 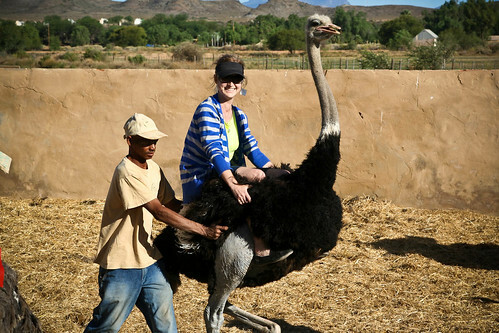 Ostrich riding isn’t an activity for the faint of art, but if you’re up for the challenge, you can give it a go at an ostrich farm in Oudtshoorn, often referred to as the Ostrich Capital of South Africa. If you find yourself getting the hang of ostrich riding pretty quickly, feel free to join one of the regular races that are held in the area. But if you feel uncomfortable hopping on an ostrich, no worries; watching the professional ostrich jockeys race each other is sufficiently amusing. If you feel like pampering yourself after watching a string of intense soccer games, why not take embark on an opulent getaway on one of South Africa’s luxury trains? 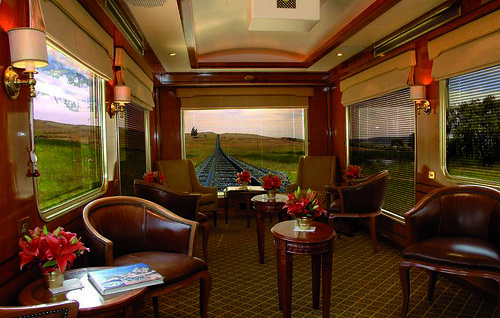 The Rovos Rail, which claims to be, “the most luxurious train in the world,” boasts dining, lounge, and observation cars that are complete with traditional furnishings and décor, reminding you of a bygone era. The Blue Train serves world-class cuisine and features five-star accommodations.You’ll leave South Africa fully satisfied by concluding your trip with a luxury train ride. 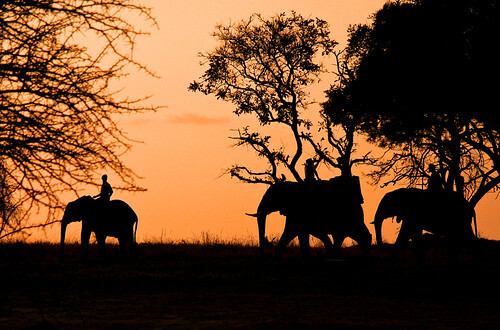 Africa is the top destination for travels across the globe and for cheap flights to Africa, check with us.